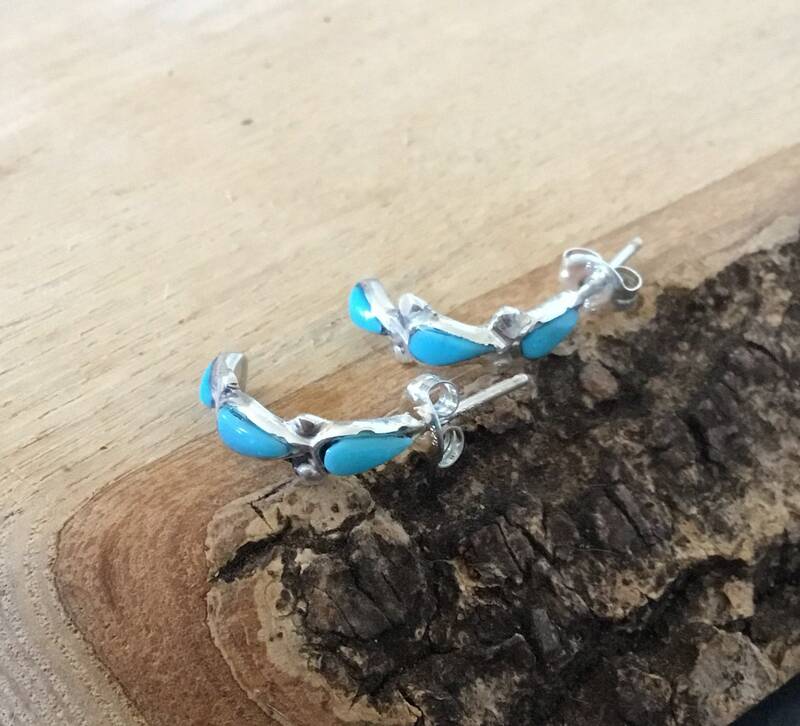 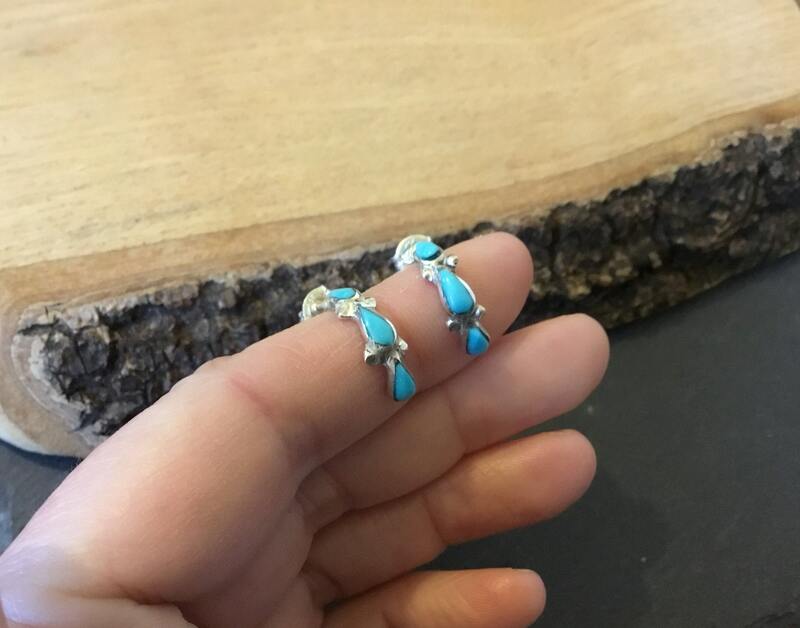 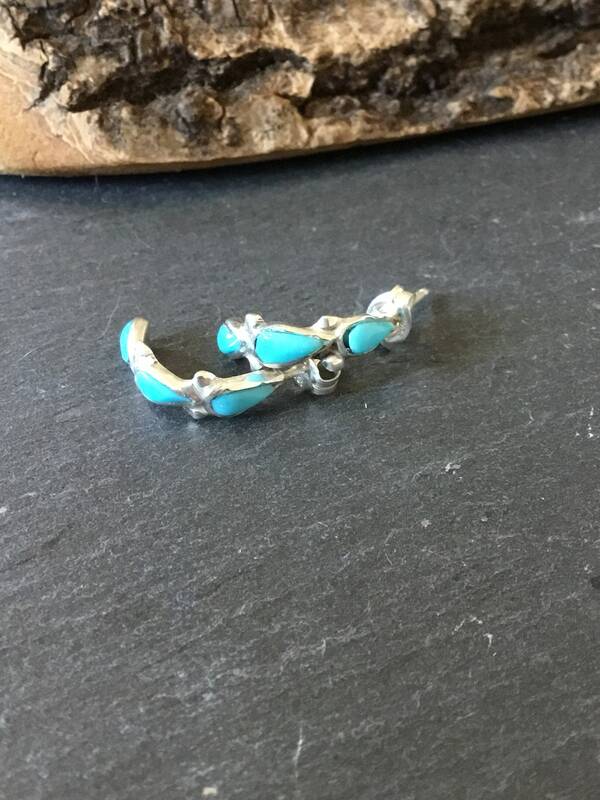 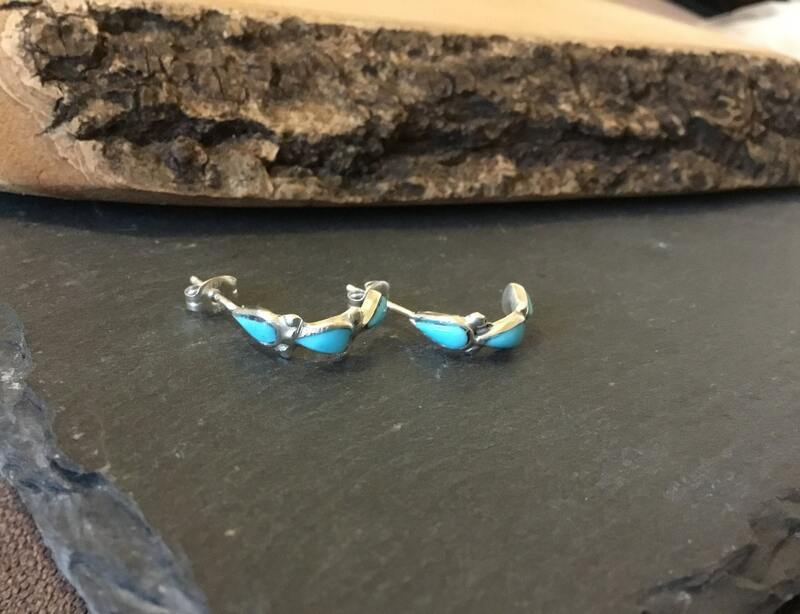 Each Hoop is Set With Three Slimline Teardrop Turquoise, Each Measuring Approximately 6 mm x 3 mm. 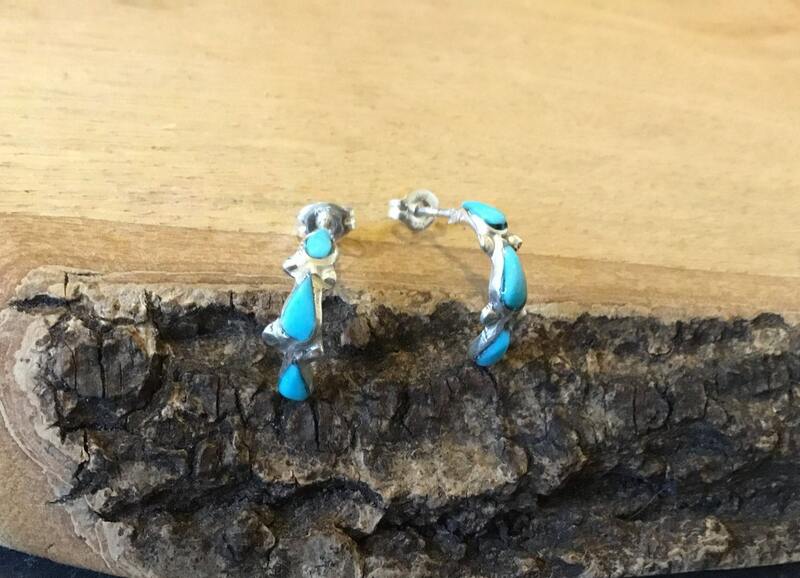 The Centre Teardrop is Separated With Two Small Silver Balls Each End Which Have Been Slightly PolishedBetween. 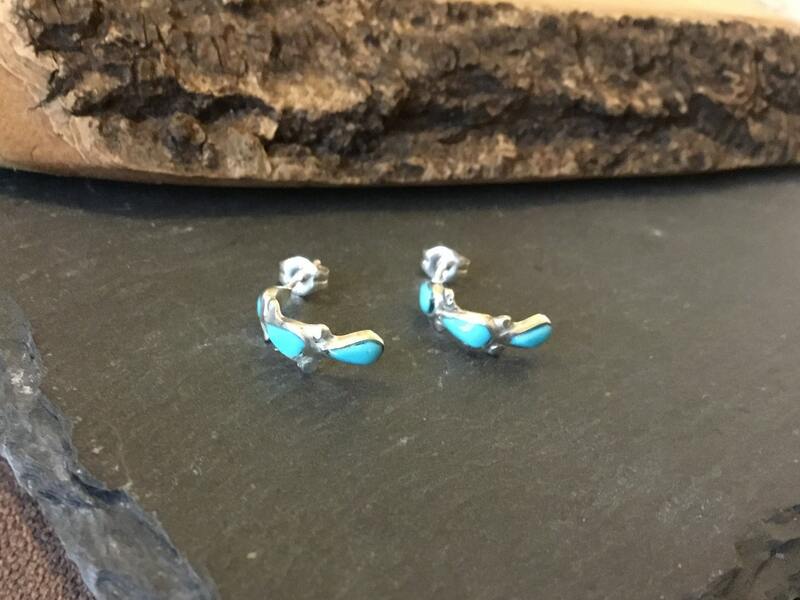 With a Drop of 15 mm From The Ear Post and a Width of 5 mm.